Shooting with bow and arrow. Release the arrow to reach the target. Most of the effort is in pulling the bow, and maintain the integrity of the pull, and aiming at the right place. Exploding like a bomb. We build a very strong shell for the bomb, and keep expanding the inside until the shell can’t hold it anymore. Snapping the finger. The strong the initial holdback of the finger, the louder the sound. Note that in all the above examples, it involves two opposing forces going against each other the best they can, and then there is the release, which is something that happens on top of the setup. I locked the outside (hands and feet), twisted up my inside by opening my joints. Neighbouring joints opened in opposite directions. I then locked the inside, and let go of the outside. The potential energy that was built up inside was therefore allowed to be released out. This approach was an expression of separation of yin and yang (Lock the outside, move the inside; Lock the inside, move the outside). My opponent caught me between his right arm and right thigh. He swung his right arm around trying to knock me over. He put quite a bit of power on me. I tried to lock my centre by stretching vertically and redirect his power back to him. He was like bouncing off a wall, fell backwards, took a couple of steps, and ended up sitting on the ground. For the first experience, I did work to build up some energy and release it, whereas for the second one, the energy originally came from the opponent, and was sent back to him. Excellent notes of keen observation and clear analysis! Thank you for sharing. I began studying Martial Arts 1979, I was considered to be one of the better ones in the system that I study. There where many techniques that I found (and in watching others) not practical and non-effective. 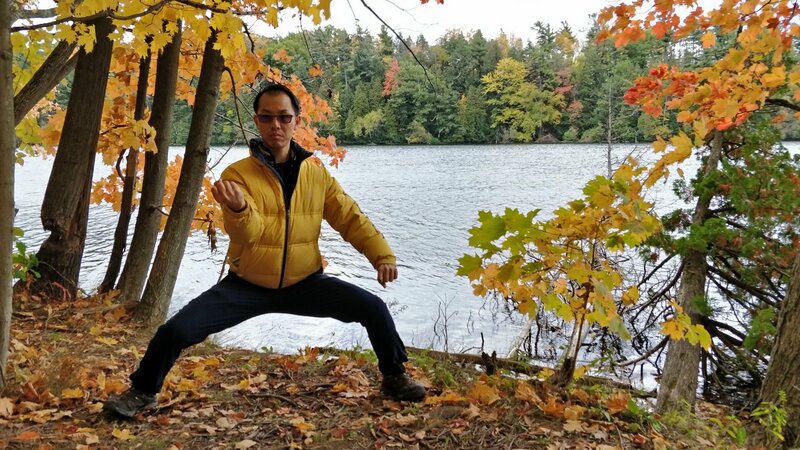 After watching and studying Master Chen’s motion for the last two years and applying what I was able to grasp my application of proper body aliment has greatly improved, and the generated power from what I have pick up is amazing. The before mentioned techniques has now become my favorites as other watch in disbelief my execution of motion when preforming techniques in my system.